Jennie Bennett, A Writer's Journey: 300 Followers Giveaway! Last week I passed the 300 follower mark! It's so awesome, that I decided to through a party. What's a party without any favors? So I'm going to give away three huge book prizes that anyone would love. First up is a signed, yes signed, copy of Shadow and Bone. One of the best books I read last year. 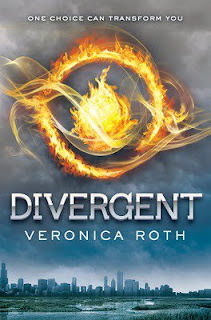 Second is a paperback of Divergent and a hardback of Insurgent. Two for one deal here. Last, but not least by any means, is an ARC of Fraction of Stone. This book isn't even out until March, that's how awesome I am! You also win a signature from my four year old on the front blank page. Awesome, right? All you have to do is fill out the rafflecopter below and comment with which prize you would like. You can ask for any one of the three if you wish as well. Love you guys! *Ends Friday. U. S. Residents only, sorry! oh , I'm dying to read "Shadow and Bone"
Congratulations on hitting three hundred followers! I want Fraction of Stone, but a signed Shadow & Bone would be so cool too, Iove that book. Oh, and big congrats on the followers! Woot. Congrats on 300! And those are really great books for your giveaway. Congrats on reaching 300 followers that's awesome. Have already read Insurgent and Divergent but not the other two. The rafflecopter isn't working for me (it's my stupid computer) but I wanted to say CONGRATS! Congratulations on making 300! 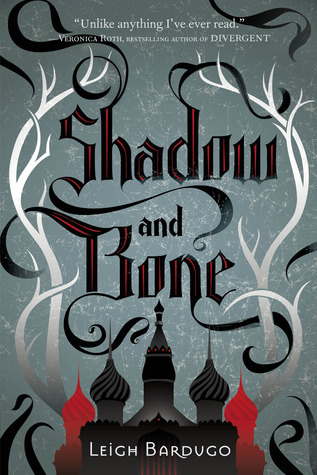 As a font geek, I absolutely love the slightly Gothic typeface used on the cover of Shadow and Bone. 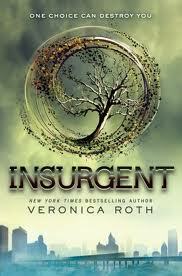 Insurgent is top on my list! Sweeeeet! I love give-a-ways! And HUGE congrats on the 300 mark. That is SO exciting. All fun things, Jennie! And I haven't read any of these books! Myself and I had a talk today and we decided that we HAVE to read Shadow and Bone this year. Congrats on the 300 followers! I'd love to win any of the books! Congrats!! ooh! Great choices! I don't have Shadow and Bone yet, and I've heard great things - that would be my choice! Congrats on the followers! Congratulations on your huge milestone. Awesome giveaway, Jennie! Dying to read Fraction of Stone! I'd love to read Fraction of Stone! Shadow and Bone because I HAVEN'T READ IT YET! Cool contest! Dying to read Shadow and Bone AND Kelley Lynn's book! What a fabulous giveaway! Congrats on 300 followers! yay, JA! sweet milestone! and awesome prizes! here's to you & many more! Congrats! on the milestone. I love hitting those big round numbers. I can't enter (Scotland resident) but ahhh I am excited just looking at those covers! What a fabulous giveaway! Woohoo! Congrats on breaking 300! Nut and Bolts, and Writing.